What a difference a year makes. 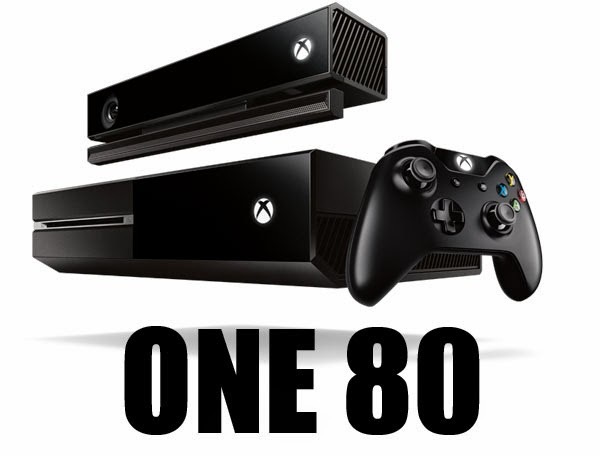 Yesterday, Microsoft announced that they will be offering the Xbox One for $399, without the Kinect, beginning June 9th, 2014. They made a few other important announcements as well: you no longer have to be a Gold subscriber to use apps such as Netflix and Hulu, games for gold is coming to the Xbox One, as well as gold deals of the week. But the most important announcement by far was the dropping of the Kinect. No longer is it a required piece of tech needed to be bundled with the system, regardless of how many times we've been told that in the past. That was a year ago. Things change. Sony's PS4 is outselling Xbox One, Phil Spencer is Head of Xbox, and E3 is a chance for everyone to focus on the games, games, all the games we will be wanting to play in the next year. So it's only logical, and smart really, on Microsoft's part to get the hype machine rolling before E3 about the new price drop. One of the biggest complaints from gamers and critics around the internet was they felt Microsoft should have never released the Kinect bundled in the first place, and could therefore shave $100 of the price tag to make the decision between PS4 and Xbox One a lot more competitive. They very quickly "listened to the fans" after the whole always online and DRM debacle, but they committed to keeping the $499 price and Kinect as a premier feature only on Xbox One. Developer after developer talked about how they were going to incorporate the Kinect into their games. Microsoft was confident that by having the Kinect a part of every system they sell, that meant every gamer would have access to a Kinect, and that would encourage developers to take more advantage of the tech. And there was nothing wrong with that logic. It was a bold and smart move, and I think Microsoft was trying to do the right thing in pushing a new piece of hardware. The only caveat is that the software needs to follow that commitment to adopt. What Kinect 2.0 games did we get? Or more importantly, what Kinect 2.0 games ushered in that change between the last games released on the Kinect, and showed the potential of what could be possible? Can you name me any? My mind is still blown over what some MIT students did when they got their hands on the original Kinect, but nothing of the sort has ever made it's way into our games, or created new experiences for us to get excited about. There is no doubt that a lot of the uncertainty in regards to the Kinect made a lot of the early next gen adopters choose the PS4 over the Xbox One. Sure there was that smooth E3 presentation to get the momentum going on Sony's side of the court. But when you look at the games, there wasn't a big difference in first party titles between the systems, and most of the games on the PS4 were on the Xbox One (and 360 and PS3 for that matter). So when you have two systems that practically achieve the same thing that you, as a gamer, are looking for in a system, how do you choose? Knowing you can save $100 when you buy one over the other can help make the decision for you. By removing that barrier of entry, and in a way ignoring or at least not acknowledging the uncertainty regarding the Kinect's future, Microsoft is putting itself on equal footing in the eyes of the consumer. Wanna play next gen games? Both systems can do that. Wanna watch Hulu and Netflix out the box? Starting June 9th, both systems can do that. Want to stream through Twitch.tv or follow your friends gaming habits? Both systems can do that. Wanna pay only $399? Hey don't worry, both systems got you covered. So now, if you weren't one of the early adopters, how do you choose? Do you pledge allegiance to Sony or Microsoft, because let's be honest, the differences between the two are getting harder to notice. What's going to decide this "console war" in the end is going to be two things: marketing and games. Or more importantly, the exclusive games. Which leads me to this question: Why did Microsoft announce this price change now, and not at E3? Why not save it for a big reveal at their press conference, and shock the world on the biggest platform for them to market the strengths of their system to as wide as an audience as possible. Yeah, if you stay in the know of gaming news, this is important right now to you and all your friends who also visit gaming news sites daily, but what about that other percentage of game consumer? The person who, when they tune into E3 or read reports about E3, that's the news that's going to carry them for the next few months or even year because they don't keep up with the constant changes around the industry. How many people you know remember everything Sony did with their DRM statement last year, and might not be aware that Microsoft change their tune...one week after E3. Or how many people you know remember the statements from Dan Mattrick, and were probably turned off by what he said at 1:50 min mark, but aren't aware he's no longer around and Phil Spencer is in charge? That's why I say marketing is going to be one of the deciding factors in this race to the top of the gaming mountain between Microsoft, Sony, and Nintendo. Just how people are surprised Nintendo is conceding their E3 press conference for a second year, I too am wondering why Microsoft is not taking advantage of this opportunity at E3. Remember when they announced the 360 slim redesign at E3 2010, after months of speculation and denials of any new redesign. Surprise! We do have a redesign, and everyone here is getting one, and if you want one right now you can go to your local game store cause it's going to be available...right now! Boom! Mind blown and head exploded. Imagine if you will, Microsoft starting off their press conference with yesterday's announcement: dropping the price and Kinect, removing the gold pay wall for their apps. It would generate the excitement people desire at E3, and then they can talk about the new games while everyone is hyped about the price drop. Everyone would be smiles all around because for that brief hour, as a gamer, you would feel like the company listened to you. Getting chills, right? But no, June 9th. The day before the rest of the E3 festivities. The day of Microsoft's conference. We know this now. I think Microsoft has something bigger up their sleeve for E3. There is no way, no way, if I'm the head of Xbox, and I'm sitting on an announcement like this, do I release it before E3. I don't show I have the best cards on the table right away and go all in before the flop, I play the slow burn. Which tells me one of two things: everyone at Microsoft is bad at Poker, or, this announcement is the slow burn. This is the small bet they are making to force Nintendo or Sony's hand. Nintendo has already hinted they got some top secret games in the mix for E3, and in a way this is Microsoft's response. Sony is quiet...for now, but how will they respond with their hype machine pre-E3? Do they have something they can put out right now to slow the momentum of Microsoft going into E3? And if so...will that leave them with any surprises to counter what Microsoft or Nintendo might be still holding? Competition is great for the games industry, because in the end we, the gamers, win. And I don't mean competition in the sense of us going online and spewing hate speech anonymously on message boards about these companies and developers. I mean in competition as us, the consumer, letting our voice be heard through the power of our purchases. Microsoft "listened" to the fans by hearing to all the cash registers ringing up those PS4's instead of Xbox One. Nintendo "listened" to the fans by hearing the dust settle on the Wii U in stores cause no one want to bring them home with only two or three games worth playing. Sony "listened" to the fans by reacting to the reaction of Microsoft's press conference last year, and keeping their cards close the chest the whole time, so they could come out looking good. Because never forget, Sony had DRM plans too that were scrapped last minute. The Xbox 180 is a good thing for gamers because it shows Microsoft wants to stay relevant and competitive with the Xbox One, and they are taking the first of many steps down that road to coax games back to buying their products. And great marketing gets you only half way there: you need to deliver with great games and experiences you can't get anywhere else. That's why I believe at E 2014, Microsoft will be releasing something big in regards to gaming: maybe a reinvention of a major franchise like Halo, the introduction of a new online gaming feature only available on Xbox One, or the appearance of an exclusive title from a major third party developer(s) that won't be porting their games over to PS4. Microsoft already has Insomniac's Sunset Overdrive front and center as an exclusive, would it be that impossible for them to have another major studio or two up their sleeve at E3? Maybe EA commits fully to Microsoft with the next Dead Space game or, I know I'm reaching, one of their next sports franchises? Sony has as much to lose from this E3 as anybody, because it was their slick marketing that got them this glorious one year momentum, without any real backing from serious first party games. So you know we'll probably see God of War, or maybe Gran Turismo (another reach), or gasp!, The Last Guardian? Sony can't drop the price, they definitely can't offer free apps cause they already do, so they need to come out of E3 with all the excitement around their games, games, games. Nintendo has the hardest task of making everyone interested in not only their games, but in their confidence of the Wii U and the direction they want to take it going forward. Every company has something to prove this year, and they need to prove it to gamers like me, who want to spend money on these products but are not fully convinced where to throw all my money too this holiday season. So take it all in, because this E3 is going to be an exciting one and no matter how you look at it, we win as gamers. These companies are all competing for our dollars, so they need to pull out all the stops to impress us and show us that they have top quality products that deserve our top dollar. The big three have all been hurt financially in some way by getting too comfortable with the gaming consumer, and I think they all realize they can't take the reactionary gaming crowd for granted. The Xbox losing the Kinect does come with some potential future drawbacks, but at the same time it reinvigorates the healthy competition between these companies that can keep gamers interested and excited in spending their money. It's like when WCW folded. There was no more competition for WWF(E), and the creativity and product went into a slump for a few years afterward, because there was no other organization that was around to keep them at their best. Some would argue they never recovered to this day, or that WWE will never be as compelling as it once was. You don't want to see Nintendo, Sony, or Micorsoft give up or keep making stubborn mistakes, because then it would make it too easy for everyone else, and then we as the gamers would suffer because the product wouldn't have that same passion behind it. Keep a close eye on the next few weeks, and look very carefully at the news that comes out of Sony's camp. They've been waiting a whole year to prove why they deserve to be on top, so I'm sure their E3 presentation is going to be great. Nintendo, albeit without their press conference, is going to show why they have the games we all love whether we admit it or not, and I bet their packaged videos and streams are going to have the marketing swagger that rivals both Microsoft and Sony. And Microsoft? They've done a 180 turn on many of their statements from last year, so look for them to do a full 720 at E3. This is what I'm hoping for, and getting excited for, and so should you. Because regardless of who comes out at top at E3, the real winners are us, the gamers.